ABA Haters - I Love ABA! Oh, the irony. An ABA fan writing about ABA haters. Clearly from the title and content of my blog, I respect and believe in ABA as a science. I started in this field working as an in-home therapy provider to 2 kids. I knew absolutely nothing about Autism or ABA at the time. Gradually, my knowledge grew, I received intensive training, my experience grew, and so did my passion. I found the kids I worked with to be so smart and so capable, once you figured out how to teach and motivate them. I quickly caught the ABA bug and became hooked on the Lightbulb Moment. What's the lightbulb moment? I'm glad you asked. The lightbulb moment is when you have been painstakingly trying to teach a skill to a child for quite some time, and then one day out of the blue something clicks and the child just gets it. The clouds part, angels sing, and you scare the child a little when you happily yell "That's RIGHT!" Its an amazing moment. The more I learned about Autism the more I wanted to learn about Autism. I probably drove my first few clients insane, because long after my therapy sessions were over I would still be in their home asking question after question about Autism. There was just so much to learn: sensory needs, supplements, advocacy, IEP's, funding for therapy, etc. Thankfully those parents were patient with me and my endless curiosity. As my love affair with ABA grew, our love bubble burst as I started to become aware that there are people out there who absolutely do not like ABA. There are even professionals, educators, and individuals who hate ABA. Hate it? Really? Yes, really. Many of these people are adults with Autism, some who experienced ABA as children and some who did not. Their beliefs about the detriments of ABA are just as strong and vocal as mine about the benefits of ABA. These individuals state that there's nothing wrong with being neurologically different and they don't need to be "fixed" or made normal by some ABA person, they also state that young children cannot ask for therapy (issue of consent to treatment). My blog isn’t about bashing or putting down other therapy methods, or attacking people who don't agree with me. That's just not necessary. I think the best decisions are informed decisions. Don’t become an ABA hater based on outdated or distorted information you read on the internet. There’s a lot of misinformation out there, and many untruths about what ABA is -- far too many for me to address here. So I will just tackle a few. History of ABA- I referenced this briefly in my post on Punishment, but ABA had an ominous start. If you read the research on how ABA was originally done it was punishment heavy, and not as savvy as it looks today. Children who didn’t respond correctly were slapped, spanked, yelled at, or received electric shocks. As the field advanced, professionals realized that reinforcement is much more effective than punishment. ABA as a field became reinforcement based, and created rigorous ethical standards for ABA professionals. A flurry of research on how to improve ABA instruction shaped the way ABA professionals do our job, and some techniques became outdated as newer and faster techniques were introduced. Some ABA haters incorrectly believe that all ABA therapy still looks the way it did decades ago, which is just not accurate. Think ABA is Just Discrete Trial Teaching- I have had new clients say to me they don’t want their child to be drilled 50 times to say “banana”, because cousin so-and-so told them that’s what ABA is. ABA is a broad term that covers a wide range of therapeutic approaches. Depending on the needs and learning style of the child, there are many ways to implement ABA therapy: Verbal Behavior, Natural Environment Teaching, Incidental Teaching, Pivotal Response Training, etc. Every one of these methods is unique, and has advantages and disadvantages depending on the specific treatment goals. If you don't want your child to be intensively drilled in a very structured manner, then don't use a discrete trial approach. I love discrete trial; its extremely effective...but it is not appropriate for every client. Even if it is an appropriate choice, that doesn't mean we will do discrete trial for eternity. "I just hate the idea of behavior therapy/ABA Therapy is an unnatural treatment! "- So here is the problem with this criticism: the science of ABA is all around you, all the time, whether you sign up for therapy or not. Behavior contingencies explain how you learned to answer a ringing telephone, why you say sorry when you offend someone, and why you reduce your speed when you drive past a police car. ABA is based in conditioning, which to put it simply is the fact that we learn what to do/what not to do by what consequences follow our behavior. All ABA therapy does is apply this science and research to create individualized strategies, that are taught in a precise way. So unless you plan to completely stop behaving (hint: that's impossible), then every single day you are adjusting your own behavior based on the consequences to your behavior. Frauds/Shysters Exploit Desperate Families- Another criticism is that the field of ABA is full of amateurs claiming be experts. The national certification for ABA professionals has been around since 1998. Before that time, anyone who could convince people of it could label themselves an Autism Expert or Consultant. Accountability was very low. The ABA field established board certification specifically to protect the public from amateurs calling themselves experts, and to raise the requirements of working in this field. The BCBA certification process is difficult and lengthy, and in some states licensure is required on top of certification. My response to this criticism would be to look for credentialed and experienced professionals, and be very leery of programs with "pseudo-ABA" (e.g. "Behavior Tech", "Autism Consultant") staff and not a single certified individual supervising them. If someone doesn't know the science behind what they are implementing, then they should not be implementing it. It's that simple. ABA Creates Robots- You've probably heard this criticism before: ABA creates robotic children incapable of spontaneous thought who can only spit out memorized responses like a trained seal. Sound harsh? ABA haters make much harsher statements than that, and actually believe them to be true. Some ABA programs do start off with rote memorization. That’s how many of us initially learned skills. How did you learn the multiplication tables? It was likely by memorizing it. At some point someone helped you move from memorizing to flexible learning. That’s what a quality ABA program does. When I teach a child to vocally imitate, initially they will sound slightly robotic and I reinforce them every single time they emit a sound. Over time they begin to learn more naturally, I provide less reinforcement, and they use a natural speaking tone. If your child has a stilted/artificial way of speaking and can only respond to a question if it is asked in a precise way, then they may be in a poor quality ABA program. This resource should help you evaluate if you are receiving quality intervention or not. Autism is a Medical Disorder and Should be Treated Medically – There is some truth to this criticism. Autism can affect the body and brain in many ways. The child can have toxic yeast, allergies, comorbidity (such as Autism & ADHD), etc. Each of those issues may require a separate treatment. It’s better to think of Autism treatment as a package deal. 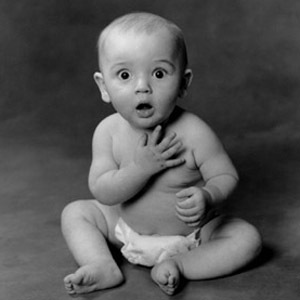 Depending on your child your treatment package may be “Speech Therapy-Social Group-Private School”. Or your package may include “ABA therapy-Family Counseling-Homeschooling”. It will vary depending on the child and their needs. The reason why so many treatment packages include ABA is that ABA as a treatment covers many skill domains at once, and it focuses intensively on behavior. Many parents really need that behavioral help, as their day to day life is spent trying to manage their child's problem behavior. ABA Therapy is TOO intensive/A 3 year old Should be Outside Playing! – The problem with this criticism is this is a decision for the parents. "Parent shaming" is not ok, as families struggle to make the best choices for their children that they can. Some parents want to start therapy as intensively as possible while the child is young. Other parents feel they want their child to enjoy being a child and not just shuffle from one therapy session to the next. I don’t make parenting decisions, I make clinical programming decisions. I must add that for anyone who thinks children should be outside playing instead of receiving needed intervention, did you know that some of these children don’t play? When I first meet a new client their child usually spends their days engaging in problem behavior, trying to escape the home, etc. For those children, I'd say their parents are much more interested in teaching critical life skills than being told their child is getting too much therapy. ABA is about Erasing Autistic Traits and Forcing "Normal" Traits- This is a super common ABA myth. 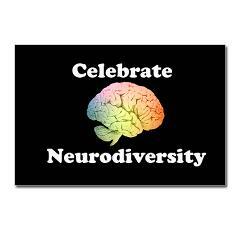 I definitely believe that neuro -diversity should be appreciated, and that Autism should not be treated like a bad word.The goal of a quality ABA program is not to erase the Autism and make the child “Normal”. If any so-called professional tells you that Normal is the goal of treatment, then you are not dealing with an ethical professional. Normal is a relative term that can mean many things to many people. The goal of treatment should be to teach critical life skills, and remove barriers to instruction....that's it. ABA therapy is about causing beneficial changes to help improve quality of life. For example: Talking. Using a toilet. Attending to a Teacher. Accepting changes to the daily schedule. Many of these criticisms are likely true for poor quality ABA programs, or programs lacking BCBA supervision. It’s unfortunate, but some people have bad experiences with an agency, company, or therapist and they blame the entire field of ABA for it. Believe me, I understand. I have had bad experiences as an employee of some agencies or companies. That didn't dissuade me from the passion I have for this field. It actually propelled me further, to be the change I wanted to see. If you come across an ill -mannered and rude doctor, do you then hate the entire field of medicine? Would you vow to never receive medical treatment because "doctors can be arrogant"? 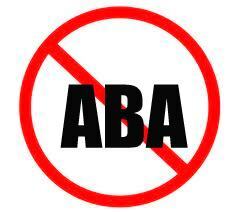 Please don’t confuse the methods of an unethical or unprofessional ABA practitioner with the vast science of ABA. ** Highly recommended read, even if you think you already know what the original Lovaas study was all about---> "The Lovaas Model: Love it Or Hate it But First Understand It"
I came across this post though the search term 'ABA hate' so it was good to read your responses to the different hate responses. Thank you and keep writing!